Getting my 3rd Honda. Always happy with ther service here. Jessica gave me great service!! Will take my car back. Drivers from Yakima and the surrounding areas bring their vehicles to Harvest Honda because they know that we provide excellent service. Why take your car to someone who works on any brand from any part of the world? 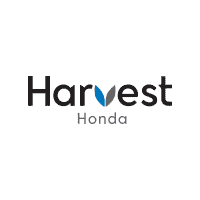 The technicians at Harvest Honda specialize in this brand. We know your car inside and out. Not only does that mean better service, but also hassle-free experience. We will have your vehicle back on the road in no time. Our technicians also make sure that they thoroughly inspect the used cars we offer at our Yakima dealership. It is necessary to keep the tires of your vehicle in good shape for its overall performance. That’s why we recommend good quality tires for your Honda. The technicians at our Yakima dealership will help you install the best ones. We serve customers from the greater Yakima area including Ellensburg, Sunnyside, and Moses Lake. Schedule your service today! As your preferred Yakima dealer, we here at Harvest Honda, provide for your every automotive need, serving greater Yakima area including Ellensburg, Sunnyside, and Moses Lake. Please feel free to explore our website to see our extensive inventory of new and used cars and SUVs. In addition to our friendly and knowledgeable sales staff, we also provide financing, service, and parts. Along with great vehicles, we also have auto tires at our Yakima Honda dealership for our customers. Visit us and experience the difference we bring about in the process of purchasing a car, for you. We serve all shoppers with quality Honda vehicles at our dealership. Honda Civic – Another recipient of KBB’s 2019 Best Buy awards,3 the 2019 Honda Civic is one of the hottest compact cars on the Yakima market. In fact, the Honda Civic outsold the Toyota Corolla in 2018 by over 20,000 units. Honda CR-V – This SUV needs no introduction. The 2019 Honda CR-V is a 2019 IIHS Top Safety Pick4 & they won the 2019 Edmunds Best Buy Award5. Yakima drivers will love the versatility that comes with a new CR-V.
Honda Fit – Having received a 2019 ALG Residual Value Award,6 the Honda Fit is predicted to lead its vehicle segment in retained value after a few years of ownership. Thus, the Honda Fit makes for a great starter for someone who wants to eventually upgrade to a larger vehicle. Honda HR-V – For the 4th consecutive year, Honda was named the 2019 Best SUV Brand by U.S. News & World Reports.7 And the 2019 Honda HR-V is no exception with a standard backup camera & stylish interior accents. Honda Passport – Built in Alabama, this is the all-American SUV. The new 2019 Honda Passport has 8.4 inches of ground clearance on the AWD versions, which is the most of any of Honda SUV. Honda Ridgeline – We know Yakima loves trucks, and that’s why we are proud to offer Car and Driver’s 2019 Best Mid-Size Pickup.17 As a Sport Utility Truck, the Honda Ridgeline stands out from the crowd with a comfortable interior, easy handling, & seemingly unlimited capabilities. 1. Vehicles projected resale value is specific to the 2019 model. For more information, visit kbb.com. Kelley Blue Book is a registered trademark of Kelley Blue Book Co, Inc.
2. Based on projected resale value for 2019 model after 60 months. For more information, visit kbb.com. Kelley Blue Book is a registered trademark of Kelley Blue Book Co, Inc.
3. Vehicles projected resale value is specific to the 2019 model. For more information, visit kbb.com. Kelley Blue Book is a registered trademark of Kelley Blue Book Co, Inc.
4. The 2019 CR-V Touring with LED headlights & Honda Sensing has been awarded the 2019 Top Safety Pick rating from the Insurance Institute of Highway Safety (IIHS). 5. Recipient of 2019 Edmunds Buyers Most Wanted Award. 6. Based on AGL’s residual value forecast for the 2019 model year. This is for the sub-compact hatchback segment. 7. The US News and World Report, November 2017. View US News best cars at www.usnews.com/cars. 8. Based on IIHS (Insurance Institute for Highway Safety) 2019 crash safety report. For 2019 model year with LED headlights & Honda Sensing. 10. Model tested with standard side airbags (SAB). Government 5-Star Safety Ratings are part of the National Highway Traffic Safety Administration’s (NHTSA’s) New Car Assessment Program (www.safercar.gov). 11. For more information visit Edmunds.com. 13. Based on AGL’s residual value award for 2019 minivan models. 14. Vehicles projected resale value is specific to the 2019 model. For more information visit kbb.com. Kelley Blue Book is a registered trademark of Kelley Blue Book Co, Inc.
15. Based on AGL’s residual value award for the 2019 Midsize Utility SUV. 16. Based off of IIHS (Insurance Institute for Highway Safety) 2019 crash safety report. For 2019 model year with LED headlights & Honda Sensing. 17. Car and Driver, February 2019. Specific to 2019 model year.